Joseph R. Lordan is a Partner in the San Francisco office of Lewis Brisbois and head of the Northern California Labor & Employment Practice. Mr. Lordan’s practice is dedicated to defending employers in employment and business litigation and providing preventative, individually-tailored advice and counseling. Mr. Lordan’s practice includes defending employers in wrongful termination, discrimination, harassment, retaliation, breach of contract, ADA access, and trade secret litigation. His practice also includes a robust defense repertoire of PAGA and wage and hour class action claims. Mr. Lordan and his team also provide preventative counseling to employers regarding all employment practices, including drafting and auditing employee handbooks, preparing employment and severance agreements, presenting sexual harassment prevention seminars, conducting workplace investigations, and evaluating termination decisions. He takes pride in offering clients practical advice and insights that allow them to make wise business decisions and avoid unnecessary expense and litigation. Mr. Lordan also has experience assisting both start-up and established companies in protecting, developing, and implementing their business plans. Sitting in San Francisco, many of his clients are in the technology, viticulture, transportation, health care, construction, retail, food service, and education spaces, amongst many other industries. In the wake of the #metoo movement, he has taken on many sexual harassment cases under the FEHA, Title VII and IX, and works to resolve these with an eye towards confidentiality and a sensitivity to the business practicalities in this current environment. Mr. Lordan frequently lectures to the defense industry, companies, and their management on employment trends and best practices. 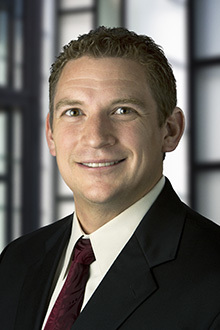 Mr. Lordan also litigates and advises on business and corporate matters, handling breach of contract, consumer class action, and trade secret misappropriation litigation. He has litigated Fair Credit Reporting Act (FCRA) class actions. Mr. Lordan’s hobbies outside the office include road cycling and spending time with his wife and three young children. Authored “Supreme Court Sides with Wal-Mart in Denial of Class Action Certification” for Lewis Brisbois Newsflash, 2011. Authored “COBRA Premium Reductions Extended” for Employment Practices Quarterly, a firm publication. Gilbert Garrido v. Raytheon Company 2015 U.S. App. LEXIS 6257 (9th Circuit, April 7, 2015) (unpublished). On July 29, 2015, the Ninth Circuit Court of Appeals affirmed a California District Court, Central District ruling granted a full summary judgment in favor of our client, Raytheon Company. Speaker, Lewis Brisbois Employment Law Seminar – Annual Employment Law Update, 2010–2018. Authored Lewis Brisbois Annual Case Law Updates, 2010–2013. Speaker, GCLA (Greater California Livery Association) Employment Law Seminar - “Wage and Hour 101,” 2011. Speaker, GCLA General Meeting– “Labor Law Compliance,” Multiple Occasions 2012–2014. Organizer and Sole Presenter, GCLA “Wage and Hour Roundtables,” 2013. Speaker, Wage and Hour Update, GCLA Northern California General Meeting, February 2014. Presenter, “Wage and Hour Practices and Pitfalls - Ignorance is NOT Bliss!” at the International LCT Trade Show, Las Vegas, February 2016. CALI Award for Highest Grade in: Patent Law, Criminal Law, Criminal Procedure, and Interviewing Counseling & Planning. Award of Excellence issued by the Greater California Livery Association, December 2013.